Newspapers may not be as popular anymore, but people still like to get news! Especially in their inboxes! There's been a saying in marketing for some time: "Top of Mind" marketing. It means just that: staying at the top of people's minds. It's a fairly old concept, but it matters more than ever in a world of information overload. Yes, social media updates are certainly one great way of keeping people informed about you and what you do. But to reach some people, the email newsletter is still a great tool. The email newsletter has definitely been around for quite some time. It has not lost its effectiveness. Email addresses are still a huge part of our everyday lives and most people still check them daily. So while there is more competition for inboxes now-a-days, email is still very important. You just have to make sure that people actually want to read what you have to say. People's time has always been valuable. But people's attention spans are strained more than ever. There's a massive amount of information people consistently have thrown at them almost every time they check an email account. There are some simple ways to make sure people open your newsletter. Compelling subject lines can still work, and of course, having quality content helps, too. Also, you want to make sure people really want to receive your lists. Having double opt-in practices for new subscribers has become a must. Also, due to how strict spam rules are now, you need an easy way to opt-out if wanted. Also, make doubly sure on your end to delete any “bounces.” Dead or inactive emails do you absolutely no good. Some people ask, what's better, a weekly or monthly email newsletter? It all depends on how much content you have. Sometimes, for some people, monthly newsletters are better. But you need to remember, cramming lots into a newsletter isn't necessarily the way to go any more. Sometimes it's better to take all of the content you'd put into a monthly newsletter, and split it. You could have two, three or four decent-sized pieces. Perhaps you can focus each "mini" newsletter on a single topic. This is a good way to test which content works best. But what if you don't have enough content for that many issues? Then a monthly newsletter is probably right for you. Just be sure that you're consistent about it. Send it about the same time every month, only sending something special when it's an offer or major announcement. Even just sending something useful to your email list once a month is a great way to leverage your mailing list. 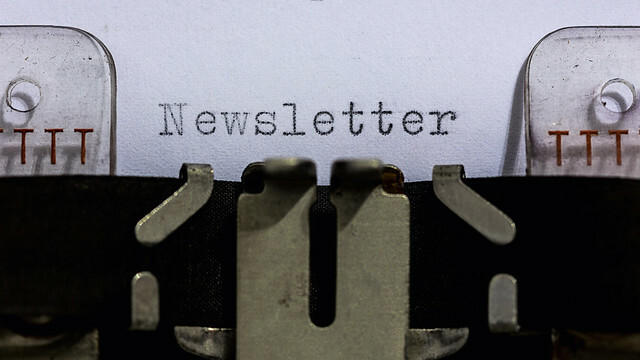 Email newsletters are one of the most inexpensive marketing resources out there. It's one to definitely use to stay in touch with all your contacts.